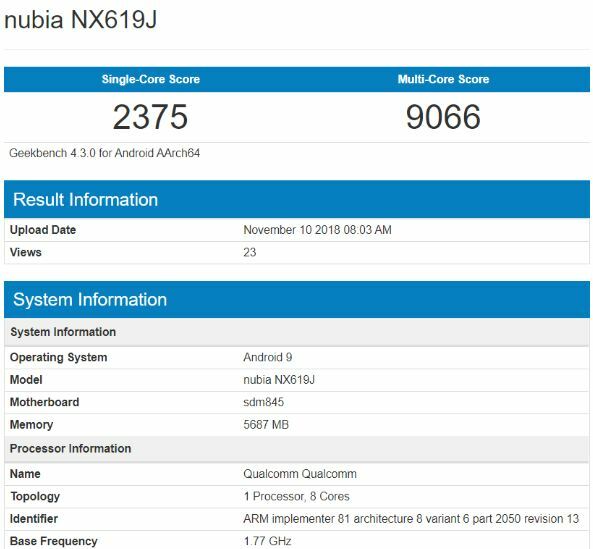 The Nubia Red Magic Mars (Red Magic 2) handset recently appeared on Geekbench benchmarking site. Previously, the device was spotted on AnTuTu benchmark test with a higher score till date for any Android smartphone. The Geekbench site showing the device model number ‘Nubia NX619J’ and the scores are quite similar to the Razer Phone 2 and Xiaomi Black Shark gaming smartphone. The device has appeared with flagship octa-core Qualcomm Snapdragon 845 SoC and 6GB of RAM on Geekbench test. However, the leaked reports are mentioned that the handset will come with the highest 10GB of RAM variant. The handset is running on Android 9 Pie out of the box. The processor base frequency marked 1.77GHz, which isn’t that bad. A week ago, AnTuTu benchmarking score was quite higher than expected and the version was 8GB of RAM. So, we can expect a slightly higher score results in 10GB RAM variant as well. The Nubia Red Magic Mars smartphone scored 2375 points in single-core test and 9066 points in multi-core test. As we mentioned above that the results are quite comparable with Razer and Black Shark devices. This one will also come with dual liquid cooling technology, upper buttons, 4D smart shock, DTS 7.1 surround sound + smart PA amplifier for an immersive gaming experience. Just like the previous model, this one will also feature RGB LED strips which can be color changeable. 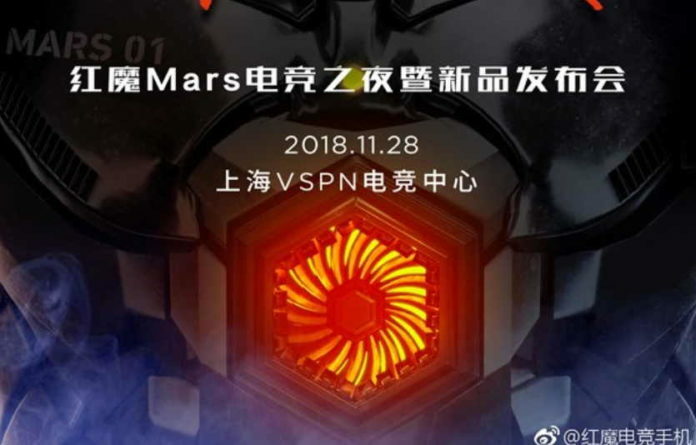 The Nubia Red Magic Mars project build upon the crowdfunding process and the handset will officially launch on November 28 this year. The phone will start shipping in December.